Includes 2 fully adjustable multi-use suckers Unique vacuum pressure design; simply twist to adjust suction. If you like incredible nip suction you're going to love these nasty boys. Pump your nips up for increased sensitivity as it increases bloodflow. 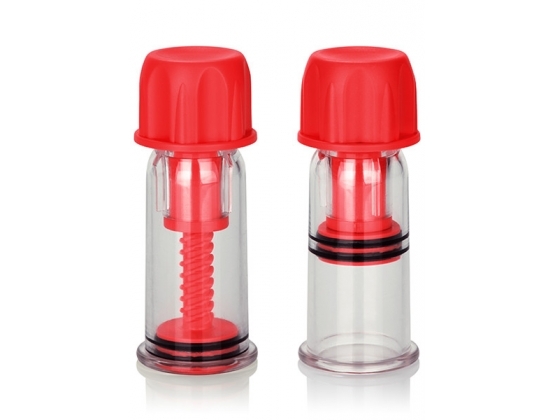 The Secure seal stays in place and they Disassemble for super easy cleaning AS (cylinder) ABS (cap, plunger) Silicone.